There are many dog training tips, but certain commands are a must for your dog. There are so many dog training tips available, and it can be hard to know which are right. Positive reinforcement, where you reward good behavior, works best for most dogs. Don’t ignore bad behavior, though. Correct your dog’s bad behavior firmly but gently. 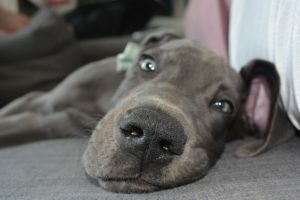 For many dogs, a stern “no” is actually all it takes, especially when you’re training a puppy. These are some of the most important basic commands for your dog to learn, and why. Think of these as the seven golden commands of dog training. Your dog must learn to come immediately when called. Many owners overlook the most important reason for teaching your dog to come. 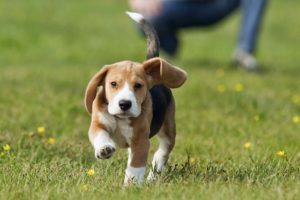 If your dog is unwittingly running towards a busy road or nearing some other danger, you need to be able to order them back and have immediate compliance. And, of course, your dog should come back at the dog park so you can go home, or come inside from playing in the yard. Learning to stay matters because there are all sorts of temptations out there, and your dog needs to learn not to chase them. Similar to learning to come when called, staying could also be life-saving. It is also simply good manners. Your dog should stay put when company comes over rather than rushing at them in an overly excited greeting, and stay in place while you prepare meals. Telling your dog to “stay” is useful when you’re retrieving their leash for an excursion or asking them to hold still so someone can greet them. There are a multitude of uses for staying. As you learn more advanced dog training tips, you’ll see “stay” combined specifically with “down”, “sit”, “stand” and others. This is a matter of basic obedience. You will find that sitting can be more difficult for the big dogs, especially giant breeds. Even so, they should know the command. Sitting is one of the foundation commands used to teach more advanced skills. Many dog training tips will instruct you to teach “sit” as the first step to “down” or to stop a dog from jumping. This should be clear. Telling your dog to go lie down is a command you are likely to use every day. If they’re wandering into the kitchen while you’re cooking or otherwise in the way, you need to be able to tell them to lie down. This is also the basis for teaching your dog to perform the “down” command in a specific location, such as their bed. Do not confuse “down” with “off”. Useful for the moment when your dog grabs something they really shouldn’t, like an unidentified hunk of meat in your front yard. And, of course, good for when you’re playing with a toy and want your dog to put it down so you can pick it up and throw it for them. In some dog training tips you might see this confused with “leave it”, but they are actually two separate commands. You teach your dog to leave something so they don’t pick it up to begin with. Maybe your child left a particularly enticing stuffed animal on the floor or your dog noticed the succulent ham on the dining room table. When you tell your dog to “leave it” they should completely leave, not keep their nose an inch away in anticipation. When your dog is getting worked up and excited, telling them to “settle” is letting them know they need to calm down. Don’t confuse commands by saying “settle down”; use the “settle” command on its own. If your dog is pacing or nervous, “settle” comes in handy. 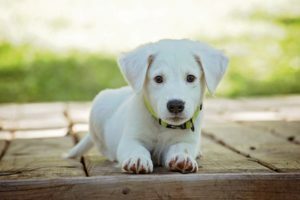 Of course, there are many other dog training tips that are necessary for your dog to become a well-rounded and well-mannered canine citizen. You should start training your puppy immediately. Usually, you’ll bring a new puppy home between eight and ten weeks. Their attention span truly begins to develop well around twelve weeks of age, but there is absolutely no reason to postpone training. Housebreaking, for example, should begin the moment you take possession of them, and good manners need to be ingrained from the start. Always remember to be kind and use positive reinforcement with your dog, whether they’re three months or three years old. Use firm corrections, but never, ever be cruel. 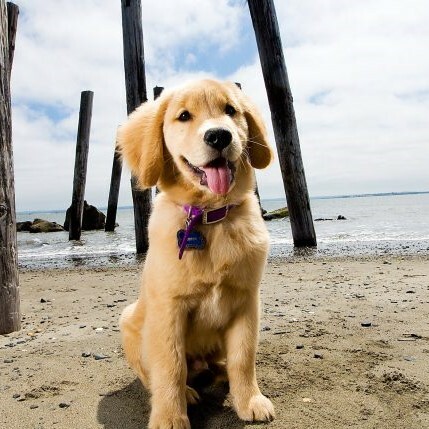 With patience and time, you’ll have a well-trained dog that will be the envy of all your friends.